Modesto’s McHenry Mansion is located at the Corner of 15th & I Streets, Modesto, California. 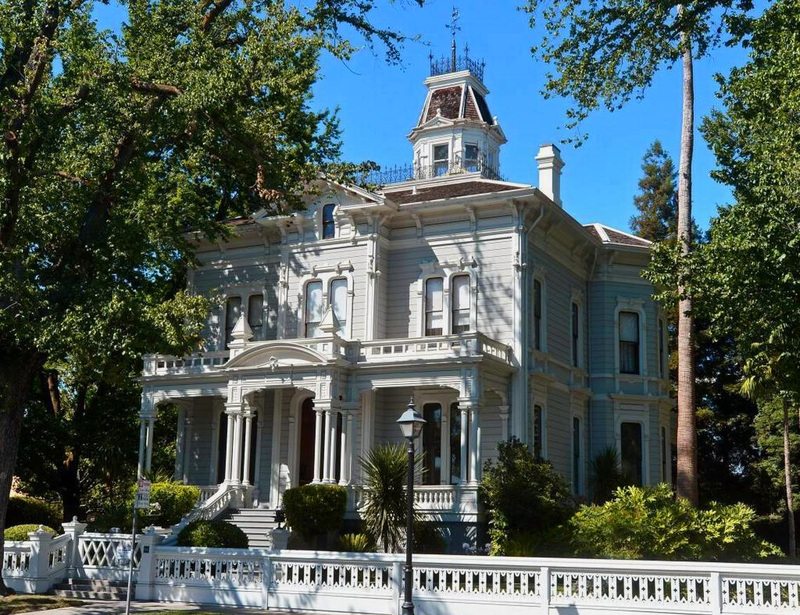 Modesto’s treasured landmark, the McHenry Mansion was built in 1883. The Modesto mansion was constructed in the Victorian style, which was popular at the time. The mansion came on the market in 1976 and was purchased by the famous and wealthy Gallo family. The Gallo family allowed the city of Modesto to restore the building and allow access to the Modesto area community. In 2011 there was a terrible fire. Although the most sever damage was to the front of the house, smoke and water damage was apparent throughout the mansion. Restoring the mansion from the fire began in 2013. It is now accessible again and open to the public. Tours are on the ½ hour and last approx. 45 minutes. Closed on Saturday except open on Dec. 1 and Dec. 22. Regular tours of the Mansion: Sunday thru Friday: 12:30 to 4 p.m.
To Schedule Group tours call Laura at (209) 652-7190.